Libyan Interior Minister Sadiq Abdulkarim escaped unscathed on Wednesday from an assassination attempt in Tripoli, according to the prime minister's office. Abdelkarim, who is also the deputy prime minister, was in his car when “unknown gunmen fired a barrage of bullets” at the vehicle, Agence France-Presse reported, clarifying that no one was killed or wounded during the attack. The incident was confirmed by the head of the minister’s office, al-Bahlul al-Sid who did not give any further details, according to AFP. The interior minister was on his was to to parliament when his car was fired upon, according to the prime minister's office. Wednesday’s attack comes less than three weeks after the assassination of deputy industry minister Hassan al-Droui, who was shot in the northern city of Sirte on Jan. 12. The 2011 uprising left Libya awash in weapons looted from former leader Muammar Qaddafi’s vast arsenals, complicating the government's efforts to rein in former rebels who effectively control much of the country. 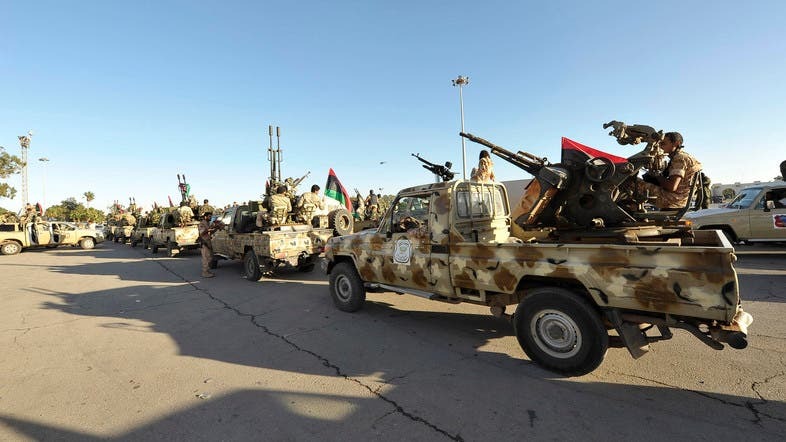 Libya has seen near-daily attacks on security forces, particularly in and around the eastern city of Benghazi, cradle of the 2011 revolt.